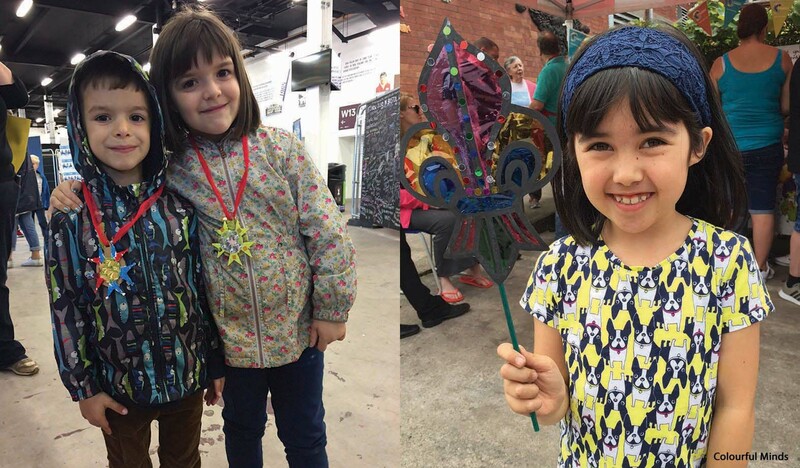 The Bristol Bordeaux Partnership in collaboration with Colourful Minds, organised free arts and crafts activities for children at UPFest. 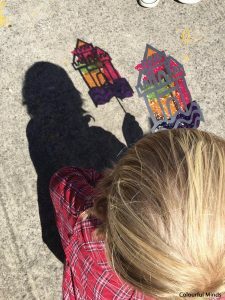 Children made shadow puppets based on the Bordeaux coat of arms and also made their own Legion d’Honneur, France’s highest award which was presented to Madame Arlette Izac for her lifetime’s support to the Bordeaux Bristol twinning. Over 300 children took part over the two days and the results were amazing. 2017 marks the 70th anniversary of Bristol’s twinning links to with the cities of Bordeaux and Hannover. 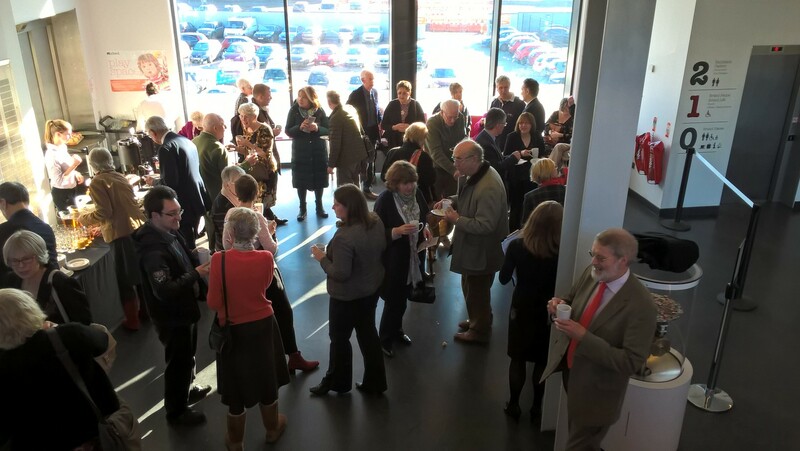 The year-long celebration was launched on Friday 20 January with a special reception at M Shed. 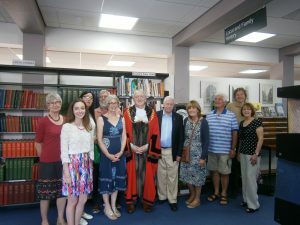 The event featured lively presentations by a range of people with longstanding relationships and involvement with both Bordeaux and Hannover, as well as songs, poetry and theatre by pupils Bristol primary and secondary schools. Visit the 70th anniversary website to find out about the exciting programme of events planned for 2017 including a free party at Bristol Zoo in the summer, a cycle ride to Bordeaux, a city business summit and many other sporting and cultural events. Please join us for the first ever Bristol Bordeaux Partnership winter social and wine tasting. Book your ticket on Eventbrite. We’ve teamed up with 5th generation family wine merchants Averys to organise an exclusive evening celebrating Bordeaux wine. Host Mimi Avery will talk about the family’s long-standing Bordeaux connections and guide us through some specially selected Bordeaux wines. There will also be contributions from wine experts from the Bristol Commanderie de Bordeaux, including reports of the new wine museum at Bordeaux, as well as the chance to meet Partnership members and hear updates on Bristol Bordeaux Partnership activities and other initiatives. Tickets £15 – includes 3 glasses of wine and free raffle ticket with the chance to win a special bottle of Bordeaux wine, as well as the opportunity to stock up for Christmas with 10% discount on all Bordeaux wines. We will also be offering a reduction on next year’s BBP membership. 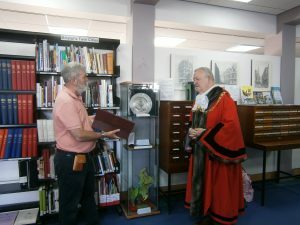 On Thursday the 21st July 2016 the Lord Mayor of Bristol unveiled a cabinet in the Central Library to commemorate the twinnings that Bristol has with cities across the world. The cabinet is set to remain in the library next to the Twin Cities Reference Section and will be changed every three months. It contains objects that were gifted by our twinned towns to represent the culture of their city, such as a sculpture from Hannover. Many people who have played key roles within these partnerships were present, and it was great to hear from them about how these links between cities have benefited Bristol. 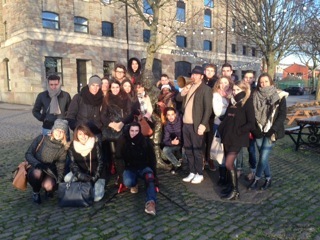 Twenty students from Bristol’s twin city of Bordeaux in the south west of France were in the city in January on a study visit. 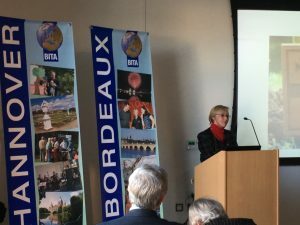 Tutors from the Jean Condorcet FE College in Bordeaux worked with the Bristol Bordeaux Partnership and local businesses to arrange a packed programme of visits and meetings. The students started with a 30 minute Q+A with Mayor Ferguson on arrival and also spent time with the outgoing European Green Capital chair exploring how businesses and companies were involved in the project. The students loved their trip to Bristol and ended it by taking the Banksy tour.